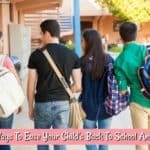 With busier and busier schedules these days, it is extremely important for parents to find time to spend with their kids. 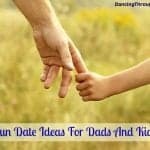 When there are no sporting activities, classes or work, plan a date night with your child or an afternoon out. It can be a fun way to try new things and visit places you’ve never been. 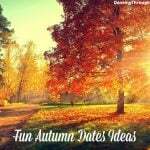 With spring right around the corner, this is the ideal time to start thinking about memorable date activities to add to your calendar. Put the phone and devices away and spend a little time with your child. Here are some suggestions for what you can do in spring. You don’t have to actually go camping in order to experience fun around a camp fire. If city ordinances don’t allow you to dig a fire pit, you can buy a small commercial one quite inexpensively. Roast marshmallows, make s’mores, do some star gazing or tell ghost stories. It’s totally up to you! If the springtime weather is nice enough, you can even pitch a tent and sleep outside. Or if you are in an area where sleeping outside isn’t ideal (like those of us in Chicago! ), pitch a tent and enjoy the day outside. Bring some books, card games, and lots of outdoor food. Be together and have a blast. If you are now having visions of Mary Poppins, maybe there is a reason! Kite flying is a super popular springtime activity in some areas and it can be a lot of fun. If you live near a park or a beach, this is a really cheap date option for you and your kids. You can either buy ready-made kites or make them yourself by checking out some YouTube videos together. There are also really great ideas on Pinterest to get your creative juices flowing. Take it one step further by having a kite flying contest. Award a small prize (a piece of candy or an apple – something little) to the person who keeps his or her kite in the air the longest. Most museums have free days, so take a look at their websites, mark your calendar and plan a date with your child! Whether it be an aquarium, a history museum or an art museum, try to pick something that you and your child can enjoy together. Try to visit areas that you have never been to before so that you can share that “first time” excitement and really make the most of it. Plan to pack a lunch to take with you and come up with a game plan over the map of the museum. Let your child lead the way! This is the kind of date that you can create in only minutes if you find yourself suddenly free. Pack a few things from the kitchen, grab a table cloth, and head out to the park or the beach to spend a little time together over lunch. If a those locations aren’t doable for you, have a picnic in your backyard! It’s not about the location, it’s about the experience. If you have some extra time, try to find shapes in the clouds, play I-Spy or create any silly game that you can come up with. With littler kids, bring a coloring book and crayons that you can work on together and with older kids, bring books and spend some time reading together, even if you’re each reading your own book. It may seem odd to you, but your teen will remember that time that they read outside with their parent. Streaming services like Netflix or Hulu make it super easy to host a date night movie extravaganza under the stars. 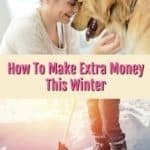 You’ll need an inexpensive projector and a movie screen of some kind (or a white sheet often works!). Once you have these tools, you can make use of them for many years to come, so think of any purchases as an investment in family time. Next, grab some cozy blankets or comfortable lawn chairs. Whip up a few yummy snacks (like my Apple Nachos S’mores and my Nutella Peanut Butter Muddy Buddies!) and put everyone’s favorite beverages on ice. Start the show and let the movie-watching begin! One of the best time to visit the zoo is in the spring. It’s the season to say hello to a variety adorable babies and watch them interact (with their parents) in new surroundings. Many zoos have a picnic area that you can take advantage of as well, so pack a lunch, put on your most comfortable pair of shoes and spend the day with some amazing animals. Talk to your children about the animals. Do they have a favorite? Why? What animal would they be if they lived in the desert? In a rainforest? In Australia? 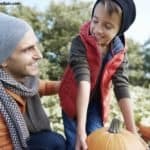 Make some very deliberate conversation with your child so that you can get them talking and create some memories together. Suitable for kids of all ages, these options are guaranteed to provide you with hours of enjoyment – and more importantly – togetherness. 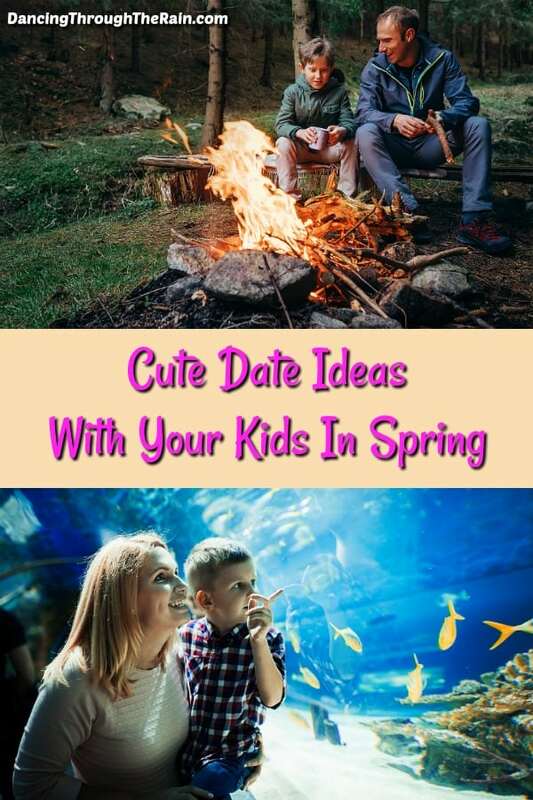 Whether your dates are scheduled or more on the impromptu side, your kids will love hanging out with you in the springtime and appreciate having your ear. 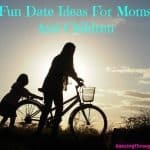 Make sure to check out my lists of dates for mom with her children, for dad with his children and for parents and children in autumn to get some more ideas!